Acne scars most typically come from not treating acne or spots correctly. We develop scars as our skin tries to repair a wound that comes from irritating acne or spots (i.e. picking). Our skin heals the wound by replacing it with scar tissue. Scars can look very different and have different types making it difficult to for some people to recognise that they, in fact, have Acne scarring. The type of scar will depend on your own skin and people will likely have a variety of them. 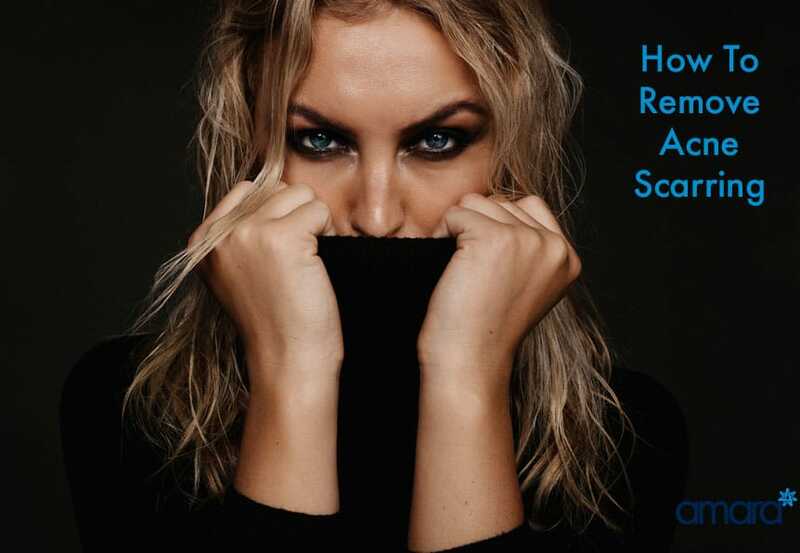 How Can We Treat Acne Scarring? With Acne Scarring the most obvious first step is to first clear and control your Acne! A consultation with a skin health therapist is essential to your journey to clear and confident skin. To treat your acne will we first analyse your skin and try to figure out exactly what is causing your acne, i.e your diet, hormonal, bad skin care. If we can identify what’s causing your acne then we can work on treating it. It is important that your skincare is targeted towards acne, maintaining breakouts, preventing more scarring. Ingredients such as salicylic acid and retinol are key to treating acne and breakouts. Zo Skin Health and Medical has a huge selection for Acne depending on your needs. These are available after a consultation. When starting any treatment it is always best to deep clean your skin, this allows any for your home care products or any serums after to be absorbed better into your skin. The HydraFacialMD can be tailored to your skin’s needs – For example, a course of Hydrafacials is recommended for Acne including LED light therapy. Blue LED lights kill bacteria in the skin which is essential for the growth of spots. Salicylic peels and acids will be used to deep clean the skin, kill spots and prevent breakouts. When we have controlled our acne we can then start to work on our current scarring. Medical Micro needling with the Rejuvapen. If our skin is clear we can then work on diminishing our scarring. Medical Micro Needling with the Rejuvapen is a course of treatments can significantly diminish scarring as well as rejuvenating our skin. Microneedling is to control a damage of the skin so it can repair itself using its own defence mechanism. A Derma Roller or Derma Pen may be used, however, at Amara we use the Rejuvapen device as it allows for a more controlled and targeted treatment. The Rejuvapen® can be used deeper on the scars itself to allow for more repair where needed and then shallow on the rest of the face. With scarring, a minimum of 5 treatments is necessary to see a difference, though you will likely see a rejuvenation of the skin after just 1 treatment. How is Micro Needling Done? Step 1: The skin is cleansed and numbed. Step 2: Copper serums or growth factors are added to your face and needled into the skin. Step 3: Areas that need it such as scars are needled again. We then add a cooling mask or copper repair cream to begin to help the skin to heal. You will be red after treatment and possibly the next day. However the next day it can easily be covered with makeup. Another key for acne scarring and overall skin health is to wear SPF daily. The sun can darken acne scars making them more noticeable and also causes skin damage. At Amara we offer different packages with multiple treatments and discounts, at your consultation with a skin health therapist the best package for you will be advised. Book in for your skin consultation now to start your skin health journey!